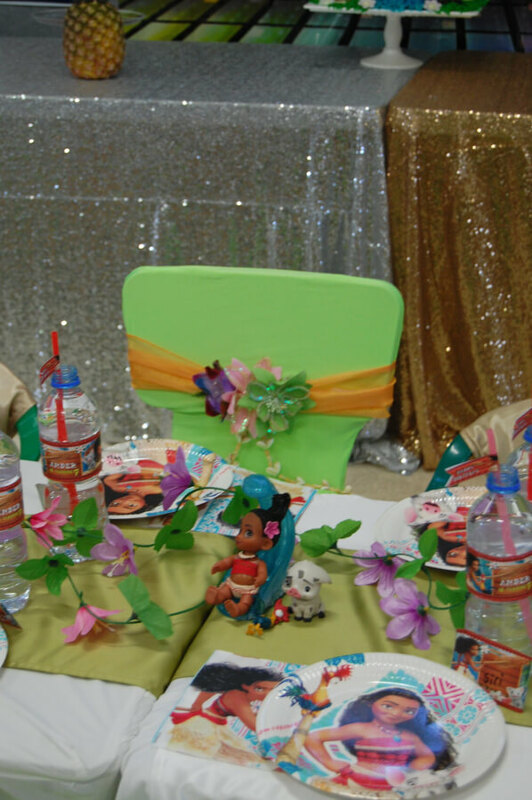 We have everything to create your own Island Princess Setting. 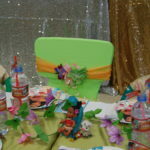 Our Moana table setting packages start at $150 seating 10 children. 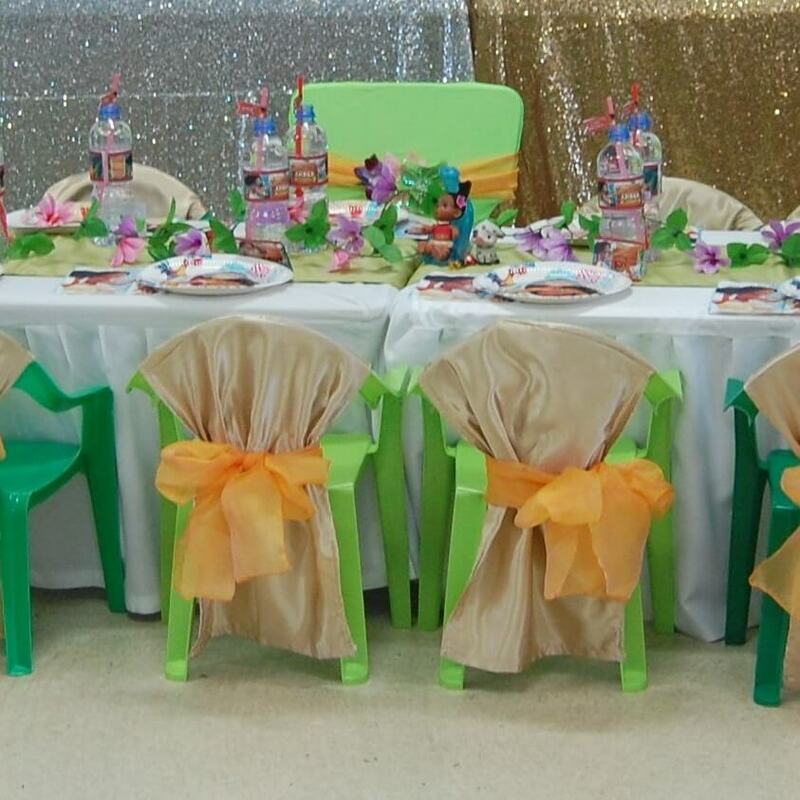 The chairs come with mini wedding style chair covers and shimmery sashes to add a touch of magic to our settings. 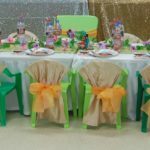 For an extra magical party combine with our beach setting or cake table. Prices quoted are a based on pick up from Harrisdale. We can also deliver/pick up. 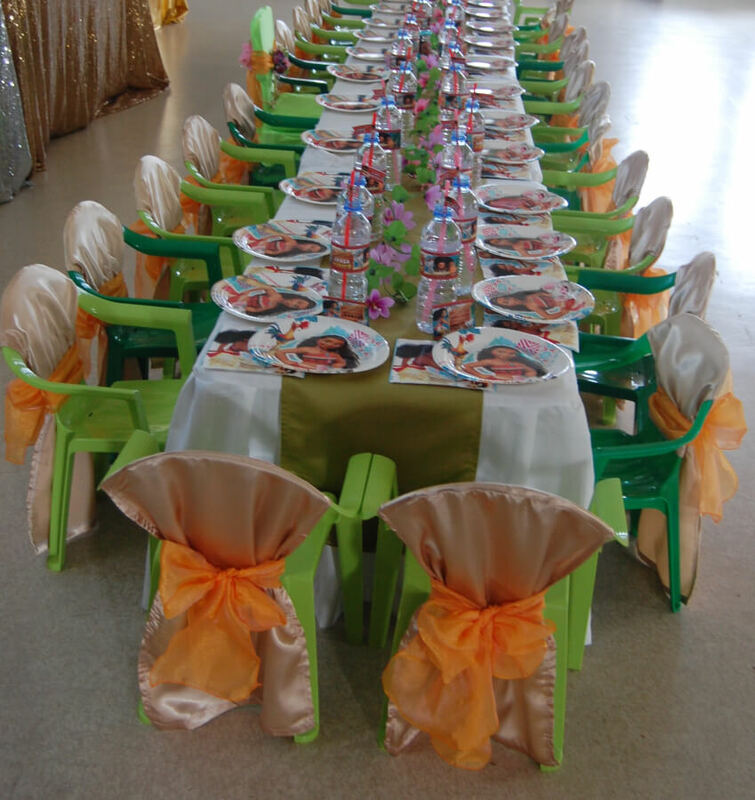 Set up available subject to quotation. Want more seating? Contact us for a quote. We also have many other props and setting packages available. Ask for our price list.